If you collect and preserve mid-century camper trailers and all of the cool vintage stuff that goes with them, you are in the right place! 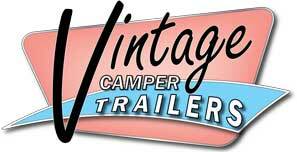 We rescue, restore and rally with our vintage campers from the 1940’s through the 1960’s. Subscribe (or get back issues) to our actual printed, bi-monthly magazine that spotlights all aspects of the vintage camper trailering hobby from rescuing them to restoring them, and all of the fun we all have at rallies! The magazine appeals not only those that are in the hobby, but those that want to be, and those that just appreciate the trailers for their artistic beauty.